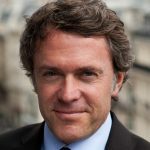 Philippe Worré is an entrepreneur and executive with 25 years of professional experience. He’s the founder and managing director of manatee consilium, a Luxembourg based advisory firm acting in multiple areas and industries. Philippe has been managing large to medium sized marketing, image and brand development projects. Recently, Philippe has been in charge of the development and the commercialisation of a major real estate project. In 1996, he created Exceed, one of the very first companies offering Internet services in Luxembourg with a prestigious clients’ portfolio in Luxembourg and abroad. In 2000, he sold the company to Alti, a French company. In 1992, he joined Andersen Business consulting as a business consultant. He’s a board member of several companies including Foyer International and Sogeva.